Starting March 1, 2019, interviews for H and L visas will be conducted only at the U.S. Embassy Beijing, U.S. Consulate General Guangzhou, and U.S. Consulate General Shanghai. 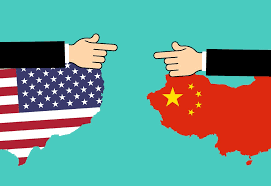 H or L visa interviews will no longer be conducted at U.S. Consulate General Chengdu or U.S. Consulate General Shenyang. U.S. Department of State announced these changes to AILA in a recent liaison meeting. According to DOS, these changes are made to better handle the high volume and complexity of H and L visa cases. The visa categories affected include H-1B, L-1A, L-1B, H-4, L-2, etc. Chinese visa applicants should pay attention to these changes.